(Natural News) Americans walk, run, and march “for the cure” for all kinds of different diseases, helping to raise awareness and funds for research, but what if you found out right now there’s a cure for Alzheimer’s Disease, would you “take care of business” starting now or keep wishing someone else might come along to possibly save you later? Sure, right about now you’re hoping the cure will come in some magical pill or prolific injection, and do the job “overnight,” so you won’t have to do any work or garner long-term diligence – well, there’s good news and bad news – and they’re both the same. Scientists have figured out what causes Alzheimer’s Disease and what cures it, but it’s not some chemical pill or experimental vaccine, so let’s get to work. 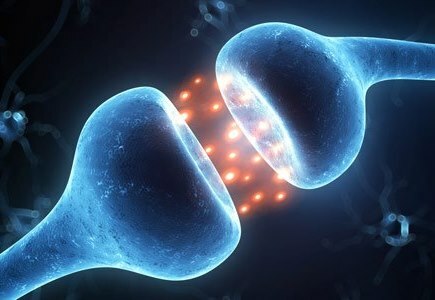 The point of connection of neurons is called a synapse, and that’s where neurotransmitters are released and communication happens in the brain. This is where we experiences all of our senses and engage in thought processes, including critical thinking and memory. This is also exactly where dementia happens. The synapse is where neurons release hormones, glutamates, and small peptides called amyloid beta. The amyloid beta are the brain’s “trash” and a prime factor involved in Alzheimer’s disease, functioning as the main component of plaques that cling to each other and clog up the neural pathway. These are the plaques found in the brains of Alzheimer’s patients. Normally, these amyloid plaques are swept out of the neural pathway (like trash) by the “custodians of the brain” called microglea. These amazing microglea are the brain’s own immune cells and are the answer to beating brain diseases. Scientists recently discovered through sophisticated experiments that these cells constantly search for brain damage, like a perpetually-running computer virus scan, running surveillance for different levels of damage. The microglea are literally capable of eating infected and damaged cells before infection spreads, while clearing out “debris” from dying cells. Diseases of dementia therefore begin when amyloid beta begins to accumulate, because too much is released, overwhelming the microglea, and leaving waste in the neural pathways, blocking communication. The synapse piles up with plaques (trash and waste) that become sticky and bind to themselves (think of animal fat clogging your sink drain). At a certain tipping point, when the body and brain have created too much “trash” for too long, creating massive inflammation and tangles, the microglea become overwhelmed and enter a hyper-mode, where they actually begin attacking healthy cells. Scientists believe the microglea may even, at the tipping point, begin clearing away the synapses themselves. Get it? The cure lives in keeping amyloid plaques from reaching the “tipping point.” Here’s how you do that. You wouldn’t pick up a poisonous snake just to see if it bites you, and then start searching the internet for the anecdote, would you? You wouldn’t pick some poison ivy and rub it on your skin on purpose, would you? If you were severely allergic to peanuts, you certainly wouldn’t eat a handful just to see what happens. That’s just common sense. So what if you knew what caused dementia, would you stop eating it? Guess what. Now is the time to stop marching for the cure and start living it, because knowledge is power. Now get this. White foods are known to cause excess plaque build-up in the brain, leading to dementia. These white foods include white bread, white flour, white rice (except basmati, which is naturally white), white pasta, and white sugar. Stop eating bleached food. Processed foods and meats cause excess plaque in the synapses, fueling dementia. Avoid processed cheeses (think American cheese especially here), and processed meats, like sausages, bacon, hot dogs, and cold cuts (especially smoked deli meats), and even beer. Nitrosamines in smoked meats cause the liver to produce fats that are toxic to the brain. Stop eating foods that contain diacetyl, a chemical commonly found in microwave popcorn. Diacetyl increases amyloid plaques in the brain. You’ll hear it time and time again, that a plant-based diet cures almost every preventable disease and disorder known to humans. It’s true. If you’re a heavy meat eater, your body is struggling to process all that animal fat, creating heart and brain “trash” that your body’s “janitors” just can’t sweep away fast enough. If you think organic or “expeller pressed” canola oil means that the oil doesn’t coagulate in your body, you’d be dead wrong. After about six weeks, any canola oil that your body hasn’t cleared out looks like a sticky glue you could use to bond cement. Think of all that “trash” blocking your synapses and causing dementia, because that’s exactly what happens. Did you know that in the U.S. alone, Alzheimer’s care already costs $2 billion a year (one out of every five Medicare dollars)? Dementia kills more people than cancer. Did you know that? Sure, Big Pharma will tell you Alzheimer’s and Parkinson’s are not preventable, but both are, and the cure lives in prevention. You may begin now.